CROW... Explore in comfort, sail from in the cabin in bad weather or the cockpit in good! At the end of the day, nose CROW to a shallow shore and an island becomes your private paradise! No tent Needed!!! EASY!!! 2013 Season's Fun...DIANNE'S ROSE has comfortably taken us to many wonderful/wild places! Double check email entry, to ensure I can reply! and visit RoyDesignedThat for additional information! WHISPER , My 1955 modified "STAR" Beach Cruiser. 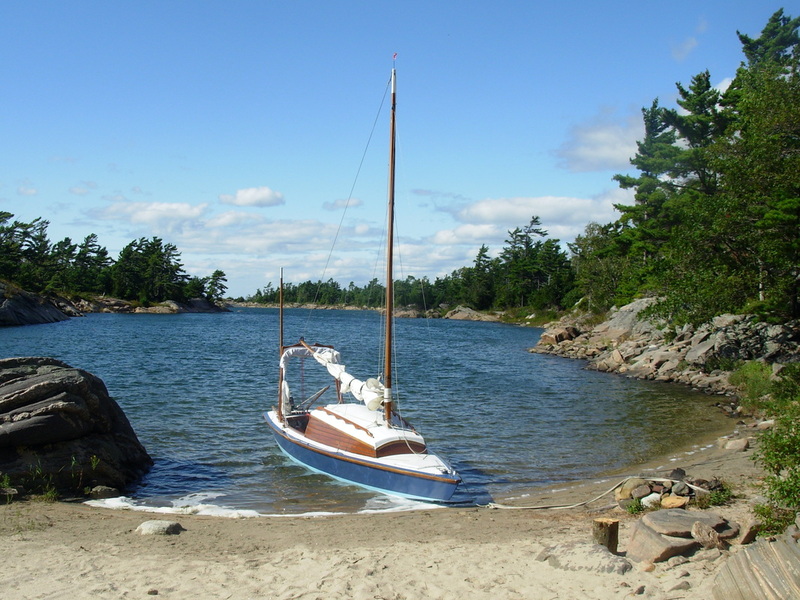 Our 1955 Star, Olympic one design racing sailboat, bought for $500 from a farmers field, filled my wish for a boat! She became our family boat for 25 yrs. The slide show below shows family adventures to many beautiful destinations around Georgian Bay. Sorry NO PLANS Available!